Image theft online is beginning to be a big problem for photographers and other artists. It’s so easy to simply right-click an image and do a ‘Save as’ without bothering to consider the ramifications. Photographers and graphic designers work hard to create their work, and no one wants their work stolen. It’s important that you help protect their work, and your own, on your WordPress site. 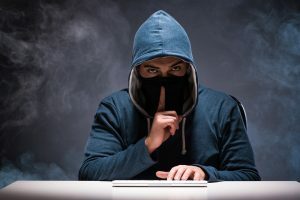 In this article, you’ll discover four ways you can protect your images on your WordPress site from theft by an unscrupulous online visitor. But before we dive in, let’s take a closer look at image copyright and theft. Countries around the world have copyright laws for work products like photos and images and they’re applicable around the world. The original creator of the photo or infographic is the copyright owner of the creative work and must be attributed in some way for that. That might mean simply linking to the creator’s website, putting a © symbol on the image, or paying them outright for the use of the photo. Even if the site does not explicitly claim copyright over the content, visitors should assume all content on the site is protected by copyright and subject to the laws that govern it. You may think that a photographer or graphic designer may be flattered to see their work on a site, however it can be frustrating for them to see their work used without their permission. When it comes to copyright laws, each country has their own rules for protection and misuse. But don’t assume that every country is covered by the same copyright laws. Take Canada, for example. The province of Quebec has slightly different laws than the rest of Canada. Do your research if you’re unsure. Another thing to consider is the terms of service on online photo services like Flickr, Instagram, or online sites like Twitter, Facebook, and LinkedIn. When Instagram first came out, any uploaded image could be used by Instagram for whatever purpose they liked, including selling it to third parties or using it for their own advertising. They’ve long since updated their copyright terms, but still, it’s worth looking into this to make sure you understand what happens to your own photos.